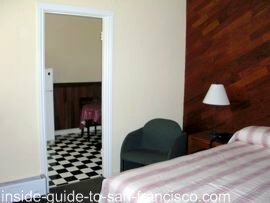 The Ocean Park Motel is a charming Sunset District motel, just one block from Ocean Beach; a great alternative to staying in the downtown hotels in San Francisco. 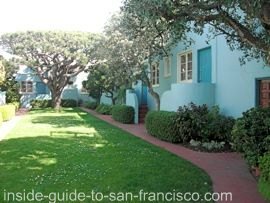 Frankly, the reviews of the motels out by the beach are pretty discouraging, so I was happy to find this little gem of a motel to share with you! 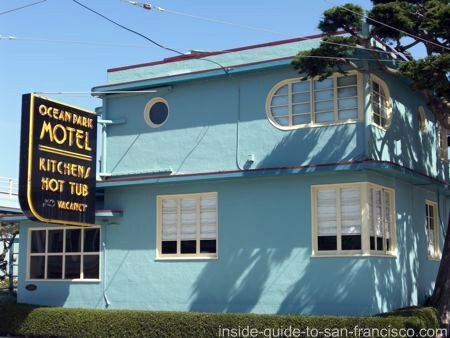 This adorable San Francisco motel was built in the same year as the Golden Gate Bridge: 1936. 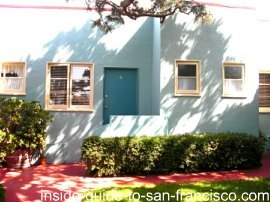 It was San Francisco's first motel, and even won an award from the Art Deco Society of California. 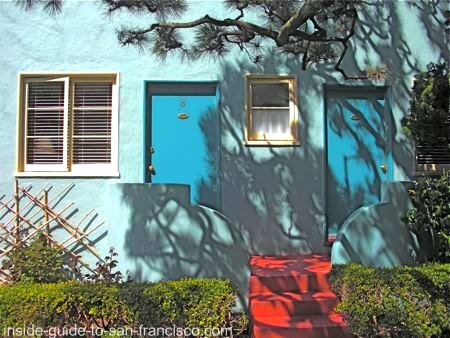 It has the retro charm of the 1930's and is maintained in excellent condition. 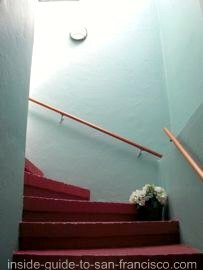 The management is helpful and friendly, and the rooms and grounds are lovingly cared for. 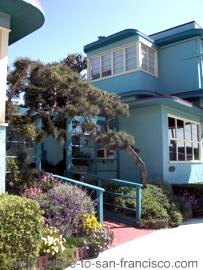 The Ocean Park Motel has been family-run for two generations. The entrance is through a little garden, and there is another Japanese-style garden in the back with a slide and swing set for the kids. A jacuzzi is available for the guests, as well. The decor of the building is unique: deco/nautical, with porthole windows, cruise-ship railings and ship steering wheels on the doors. 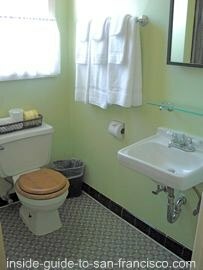 The rooms are small, characteristic of the era, but very clean and cute, with the original tile in the bathrooms. 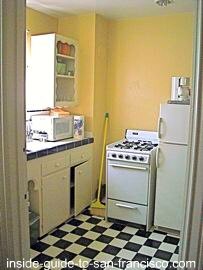 Some rooms have little kitchenettes, with small appliances and cupboards that look like illustrations from a 1940's Betty Crocker cookbook. All the bathrooms have showers. Who is this motel a good match for? If you're not looking for a standardized, impersonal motel with huge beds and a giant TV, this could be a good match. There are small, flat screen TV's and little coffee-makers in all the rooms, and most of the rooms have a microwave, fridge and free WiFi. Dogs are welcome, but no cats due to allergies. All rooms are non-smoking. Free, off-street parking is available. I haven't stayed here, but I live nearby, so I'm very familiar with the neighborhood; it is generally very safe and quiet. 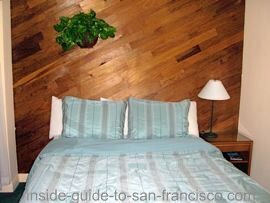 I looked at five of the rooms and was quite taken with this unusual little motel. I wish I could stay there! I would gladly recommend it to friends and family. 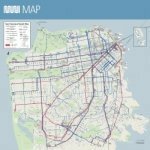 The L-Taraval streetcar goes right by one side of it, but the manager said you can ask for a room away from that side if you are concerned about noise. After midnight, it switches to a bus, so it's quieter. You'll be lulled to sleep by the foghorns! All of the rooms have queen-sized beds (1, 2 or 3 beds available) and some have little kitchens. Rooms with kitchens are $15-20 extra. Call 415 566-7020 for reservations or questions. Their website is www.oceanparkmotel.com. 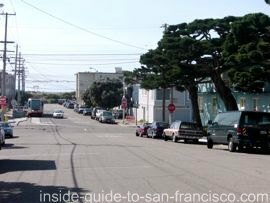 Ocean Beach is only one block from the Ocean Park Motel. Step out the door, look down the street, and there's the Pacific Ocean. San Francisco's biggest beach is convenient for walks, picnics, surfing or just hanging out. 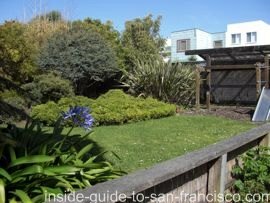 The San Francisco Zoo is also one block from the door. Check out the lemur habitat and the meerkat village. Kids will love the little steam train, petting zoo and vintage carousel. 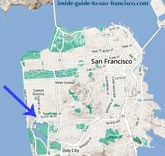 Golden Gate Park is not far away; a paved path runs along Ocean Beach for walkers and cyclists, all the way to the park. There are loads of things to do in there: walking, biking, boating on the lake, and visiting the museums and gardens. The historic Cliff House restaurant at the northern end of Ocean Beach has a striking setting and gorgeous views. 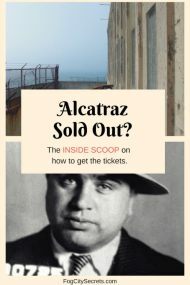 Explore the ruins of the Sutro Baths and have dinner while watching the sun sink into the Pacific. 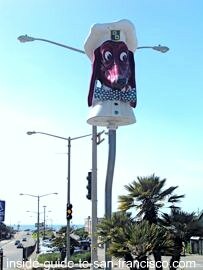 The Java Beach Cafe is one block from the motel, across the street from the Zoo on Sloat Boulevard at 45th Ave, by the Doggie Diner head. Another good choice for breakfast or lunch. Lots of sandwiches and salads, beer and wine. Soft ice cream, too. Sidewalk tables and free WiFi, but folks with laptops seem to fill up the indoor tables. There is also a pizza place (take-out, mainly) next door to the Java Beach Cafe. 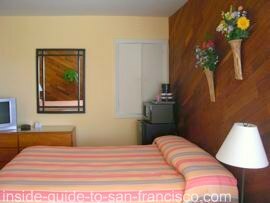 The motel is located at 2690 46th Avenue in the Sunset District, just one block from Ocean Beach and the Zoo. 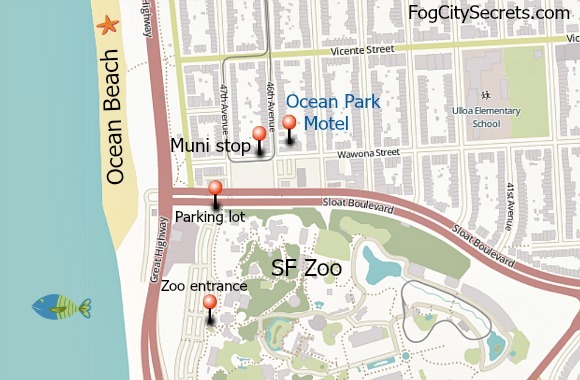 Driving: Head out Sloat Boulevard towards the ocean. Across from the Zoo, one block past the Doggie Diner head, turn right on 46th Avenue. Go one block to Wawona Street; the motel in at the corner of Wawona and 46th. Free parking at the motel. 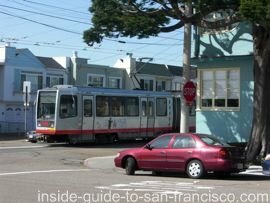 Public transportation: The L-Taraval Muni streetcar goes right past the motel, all the way to Embarcadero Station. It's about a 30 minute right to get downtown from here.